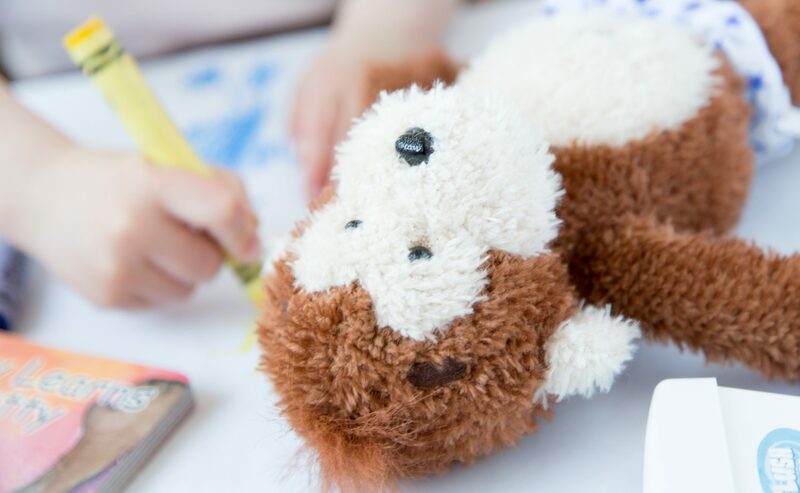 Make potty training fun for your child with this cuddly and encouraging companion! 👨‍⚕️ DOCTOR DESIGNED: Developed to be the best toilet training system for children by a pediatric urologist, board certified and the author of many articles, papers, and books on urology and pediatric urology. PottyMD is dedicated to helping children with urologic problems. 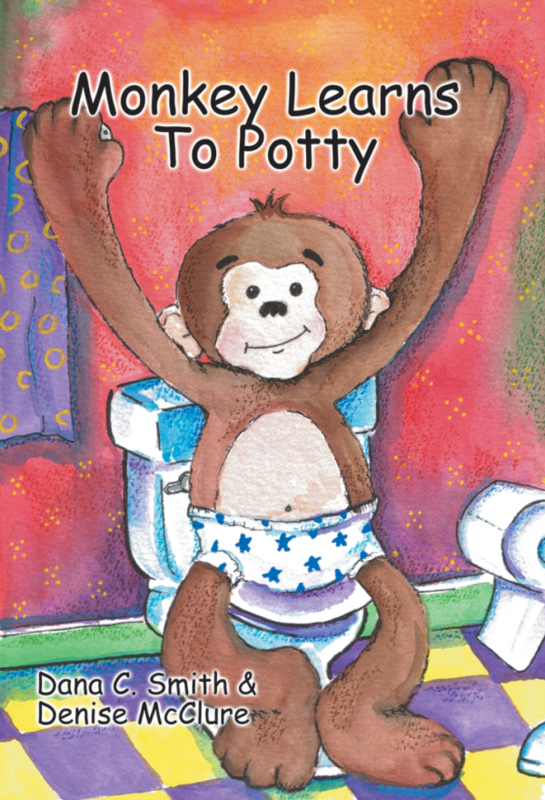 🚽 TOILET TRAINING GUIDE: Potty Monkey comes with a fun storyboard book for the child and a complete potty training book for parents. Parents receive guidance to help boys and girls develop good potty habits, and learn toilet training basics and successful approaches to toilet training. 👶 FROM DIAPERS TO UNDERWEAR: Potty Monkey makes the transition to big kid underwear fun and encouraging. He talks to alert the child when it is time to go, and sings and talks when he is placed on his flushing toilet. Potty Monkey makes learning healthy potty habits fun! 💯SUCCESSFUL: Download a complimentary Monkey Doodle Reward Chart and receive a Certificate of Completion after completing The Potty Monkey System. 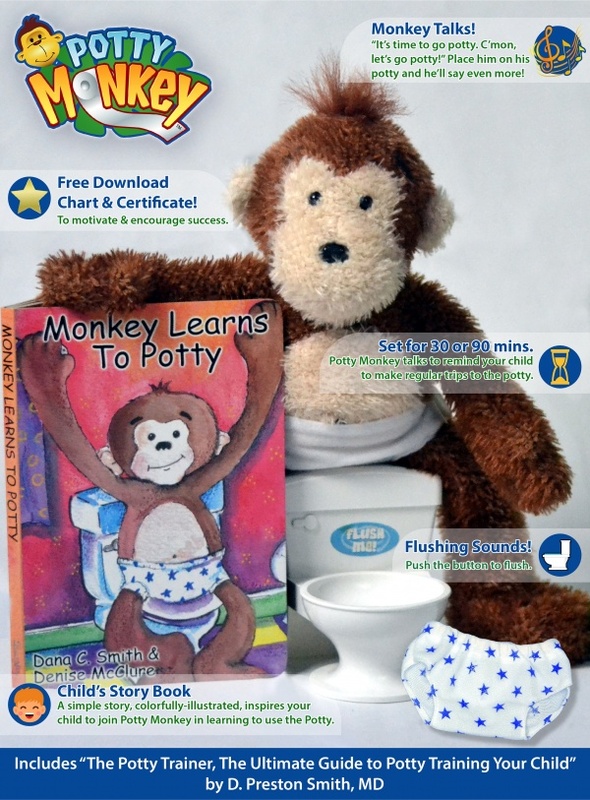 Potty Monkey makes toilet training fun for kids and parents. 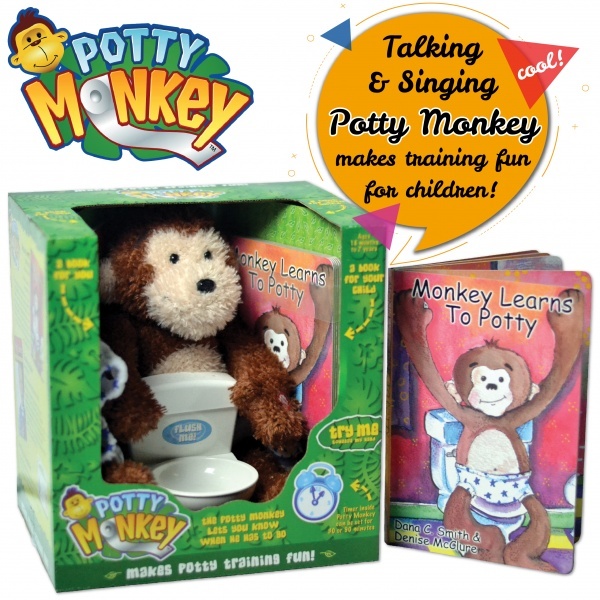 More than just a potty training toy for boys and girls, PottyMD designed the Potty Monkey and supporting products to be the most educational, effective, and successful training system on the market. Potty Monkey is your potty training pal! 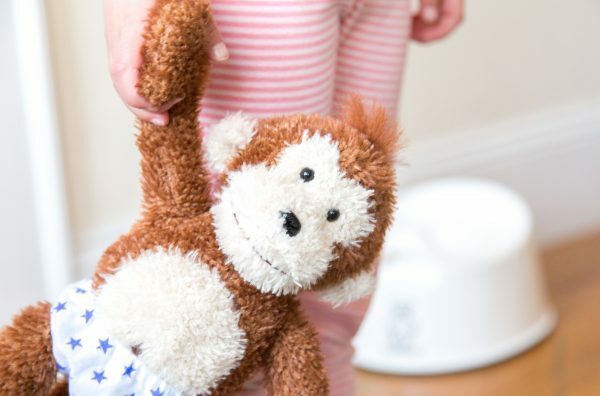 Potty Monkey is a cuddly and plush, high-tech animal that educates every time he has to go potty, as well as when he is placed on his flushing-sounds toilet. Set the timed reminder for 30 or 90 minutes, and he will tell your child when they need to go potty. When placed on his toilet, he sings and repeats encouraging messages to your little one. His toilet makes a real flushing sound with the push of a button! 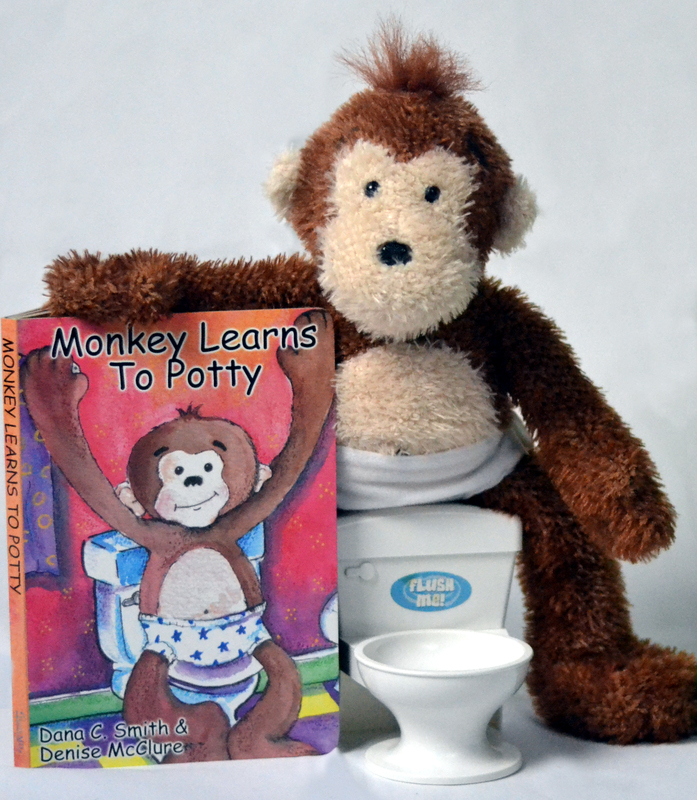 Your child will enjoy reading Potty Monkey’s book again and again, as well as watching his videos. As Potty Monkey learns to use his toilet, your child can throw out his diaper and change him into his big monkey underwear. Your child will learn along with Potty Monkey, and soon be wearing his or her own big kid underwear. The Potty Trainer, written by a pediatric urologist, is a comprehensive guide to potty training; you’ll learn many potty training pitfalls and helpful tips for success. Parents are encouraged to use an approach that best fits their parenting style. Potty Monkey makes potty training fun, routine, and successful. 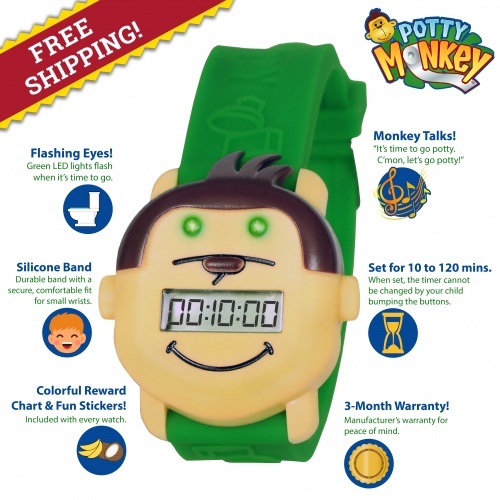 Potty Monkey Gets a Watch!